Maybe you have a video of a miraculous game-winning shot, or a comedic clip of your cat knocking over a glass. 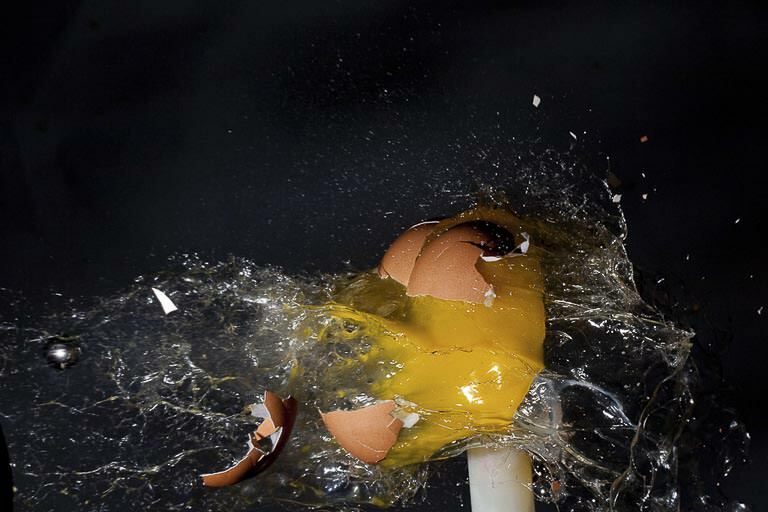 In either case, slowing down the video can create dramatic and entertaining effects to engage your viewers and keep them on the edge of their seats in suspense or laughter. Upload your video clip from your camera roll or computer or import the video from YouTube, Giphy, Vimeo, or Google Drive. 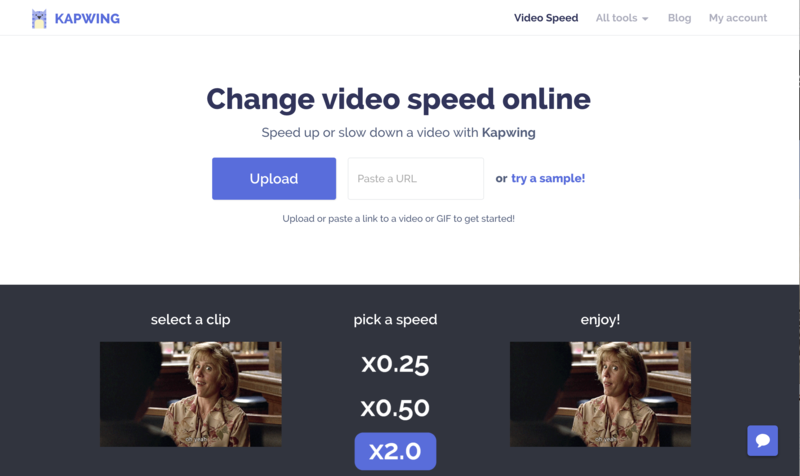 Select a Speed of 0.75x, 0.5x, 0r 0.25x to decrease the speed of your video. 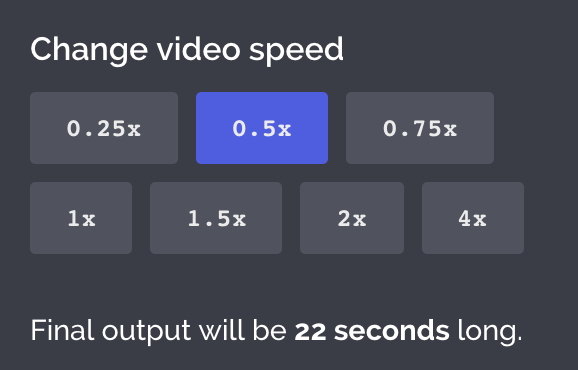 Below this selection, you can see how many seconds your video is with each speed change. If you want to slow down a certain section of the video, click the “Trim” button to clip out that section. Review the preview of the slowed video in the editor and click ‘Create’ once you’ve set the new speed. Step 4: Download and Share. After your video is finished, you can download it and publish the mp4 directly to Instagram, Facebook, Twitter, or elsewhere. Thanks again for reading the Kapwing blog. You don’t have to be an expert to be a video editing pro! Feel free to reach out to us on Twitter or over email with your feature requests and comments. Enjoy creating the laughs and drama [FORRRRRRRRRREVERRRR] and share your results with us by tagging #kapwing on Twitter, Instagram, etc.